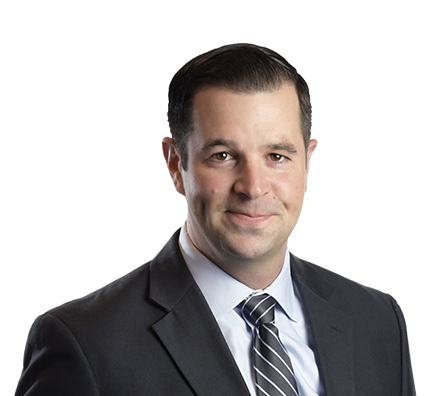 Patrick has extensive trial and appellate experience representing corporations, governmental entities and individuals in a broad range of litigation matters before state and federal courts. He regularly represents clients in commercial, bankruptcy, constitutional, civil rights, personal injury defense, employment and fraudulent conveyance matters. In the last three years, he has first-chaired four trials and co-chaired four others, on issues ranging from lease disputes for a national real estate client to premises liability claims against a retailer with more than 7,000 stores nationwide. He has litigated professional malpractice claims, including legal malpractice, title insurance malpractice, tax preparation malpractice, and code enforcement malpractice. He also has represented clients in numerous commercial transportation lawsuits, including personal injury and wrongful death claims. Defeated claims over a proposed multimillion-dollar set of luxury condominium units, by handling all aspects of appellate briefing and oral argument in the Seventh Circuit Court of Appeals, as well as summary judgment in the District Court. Successfully represented client in federal court in a novel, complex Interest Rate Swap Agreement dispute with the debtor over eight figures worth of payments at issue in one of the largest bankruptcies in U.S. history. Successfully defended client in federal court from fraudulent conveyance and unjust enrichment claims seeking recovery of seven figures in payments received before one of the largest investment fund failures in Wisconsin history. Successfully represented client in federal court in a novel, complex Interest Rate Swap Agreement dispute with the debtor over eight figures worth of payments at issue in one of the largest bankruptcies in U.S. history, ultimately resulting in repayment of the contract amount and attorneys’ fees from the debtor while the appeal was pending. The case received international headlines and was being followed closely by participants in the derivatives market because, among other things, its outcome would affect subsequent interpretations of the ISDA Master Agreement. Played key role in defending the debtor in a highly publicized bankruptcy case seeking nine figures from the debtor, which involved issues related to fraudulent transfer law, the Bankruptcy Code and the United States Constitution. Obtained seven-figure judgment from the Seventh Circuit Court of Appeals in a dispute over the proceeds of an insurance claim that involved novel questions of contract interpretation, reformation law, application of limited liability company law, creditors’ rights during and after an LLC ceased doing business, and receiver rights under Wisconsin’s receivership statutes. Successfully litigated and obtained summary judgment in favor of international sports equipment manufacturer in a federal court lawsuit involving allegations that it breached a contract and was liable for seven figures in damages. Obtained voluntary agreement to withdraw all non-compete defenses in arbitration proceeding against a highly compensated employee who left the employer. Obtained voluntary dismissal after motion to dismiss briefing in federal court class action against one of the world’s largest retailers based on allegations that its sales practices violated several fraud and consumer protection statutes. Successfully defended client in federal court from fraudulent conveyance and unjust enrichment claims seeking recovery of seven figures in payments received before one of the largest investment fund failures in Wisconsin history. Ultimately judgment was obtained in the client’s favor on a motion to dismiss, and on a subsequent motion for reconsideration. Obtained summary judgment in national client’s favor in federal court class action involving allegations that the client’s employment practices violated provisions of the Fair Credit Reporting Act. Defended wage and hour class action lawsuit in federal court. Reached favorable settlement for nationwide logistics services provider over a logistics agreement dispute. Obtained favorable settlement midtrial in a highly publicized federal court wrongful death action. Defended national and international food manufacturers against significant personal injury claims stemming from allegations that their employees’ actions violated OSHA regulations and that their products violated products liability laws. Obtained summary judgment and victory on appeal in a lawsuit seeking eight figures in damages over negligent hiring and supervision claims stemming from one of the largest mass murders in Wisconsin history. Prepared complex opinion letter to large university regarding university policies and potential conflicts with the First Amendment to the U.S. Constitution. Defended several high-profile constitutional matters involving the First Amendment to the United States Constitution, and the Fourth Amendment to the United States Constitution.